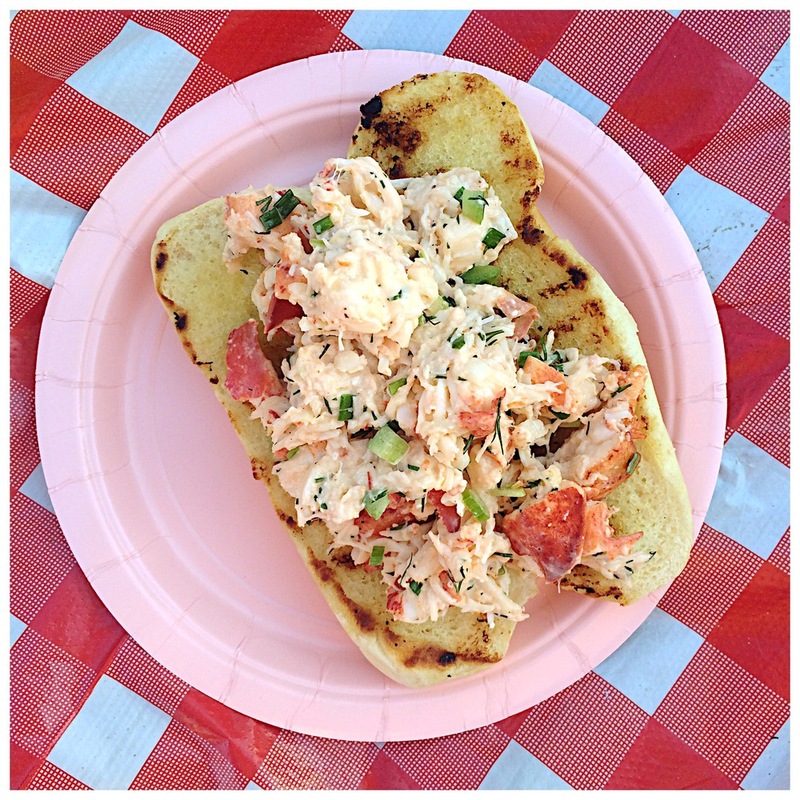 The fall of our first anniversary, Tres and I visited New England, and I was introduced to what is now one of my favorite foods on earth: an authentic lobster roll! I'm a "when in Rome" kind of traveler, so whatever I'm supposed to eat, drink, or do in a city, I do it! We visited Portland, Cape Cod, Salem, Plymouth, and Boston. Between those five cities, I may have had 20 lobster rolls.. No joke! So I had to recreate it, and I tried to make it as authentic as possible! 3. Heat a grill pan to high heat. Brush the inside of the hot dog buns generously with the melted butter. Place on the grill cut side down for about 1-2 minutes or until charred. 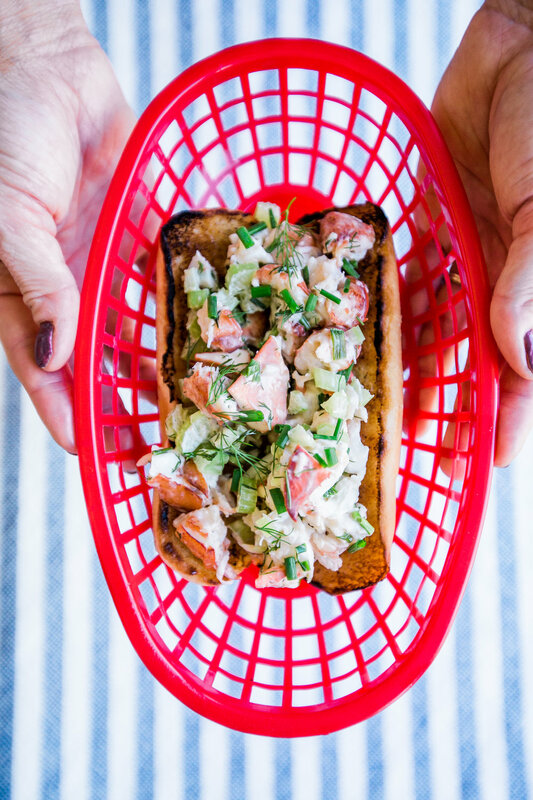 Fill each bun with the lobster mixture. Top with extra chives.